Voted #1 Best Diner, Best Burger & Fries. Zak’s is ready for your tour group reservations!! 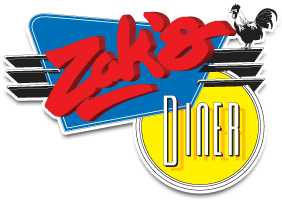 Zak’s Diner is located in the heart of the ByWard Market. Boasting large comfortable booths, a fun atmosphere and heaping helpings of all your favourite diner foods. And hey, were licensed!! We are just steps away from all of Ottawa’s biggest attractions and downtown hotels. In preparation for tour season our staff have undergone specialized training in group service. You have our guarantee that your group will receive the fastest and friendliest service in our Nation’s capital. Taxes and gratuity included in all prices. For more information or to book a reservation please contact us.